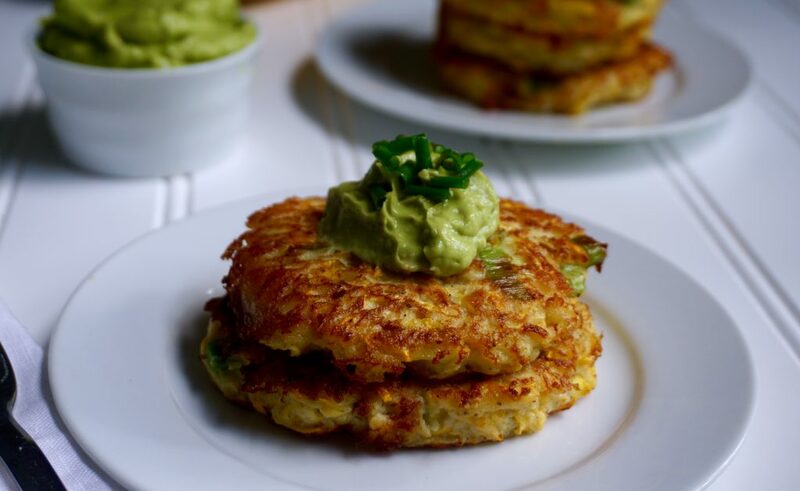 Squash Fritters are crispy squash patties made with summer squash. The local farmer’s markets in Connecticut have re-opened for the summer and I have literally been driving around to all my local towns searching out the freshest and most delicious veggies they have to offer. 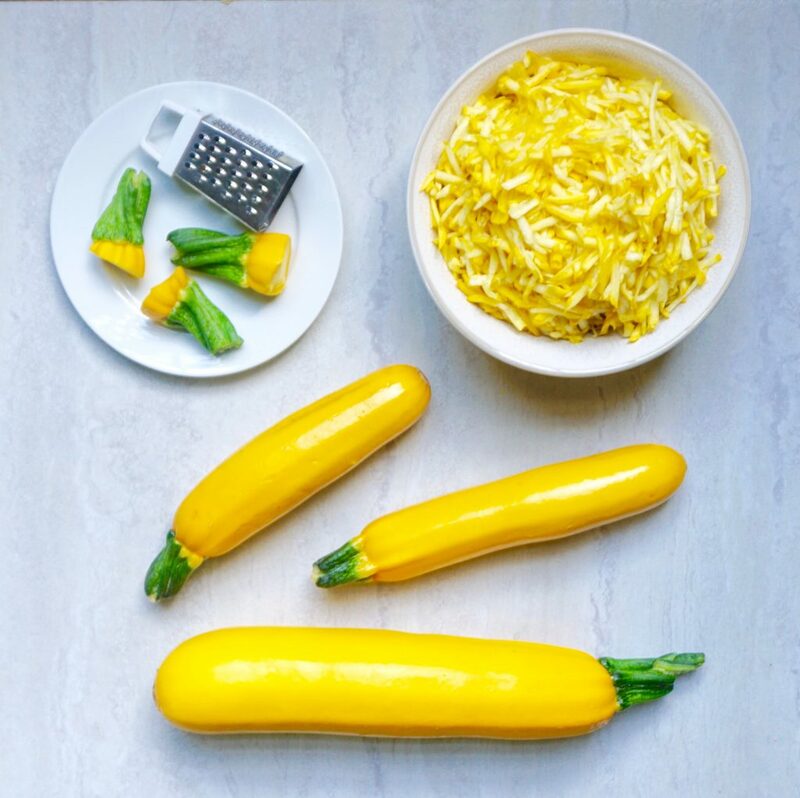 This week I was lucky to find the most beautiful, vibrant, yellow summer squash. 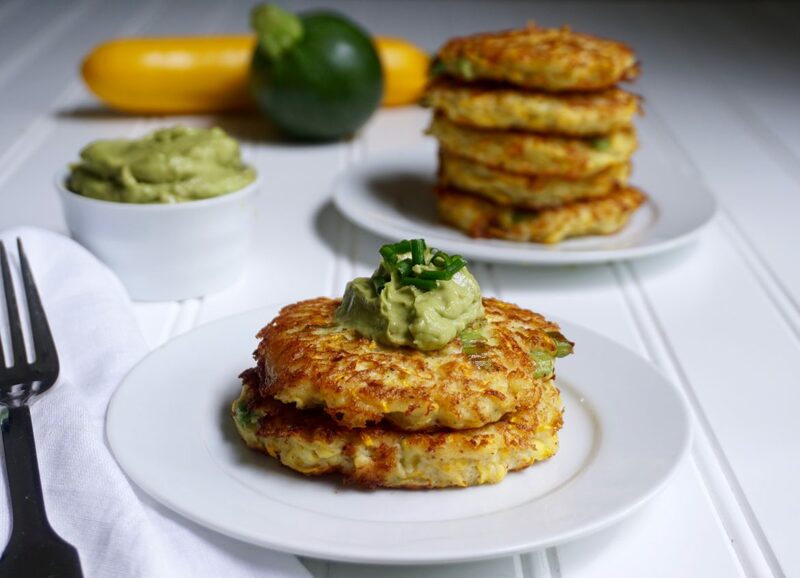 I quickly transformed my purchase into my favorite summer squash recipe, Squash Fritters. 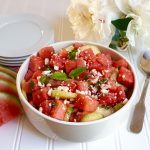 It is a simple recipe with few ingredients that I find myself making over and over again all summer long because they are just that good! And with a cook time of 4 minutes it’s too hard to resist not making them. 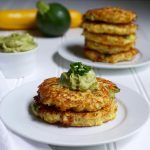 Summer squash is naturally a low calorie vegetable so these fritters make a healthy substitute for a heavier potato side dish. 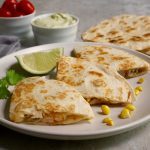 I like to serve them with either a dollop of avocado crema (to keep with the healthy theme) or sour cream (as my family prefers them)! This recipe works just as well with zucchini, so use whichever you have on hand! Place your grated squash on paper towels or a clean dish towel and squeeze the moisture out. 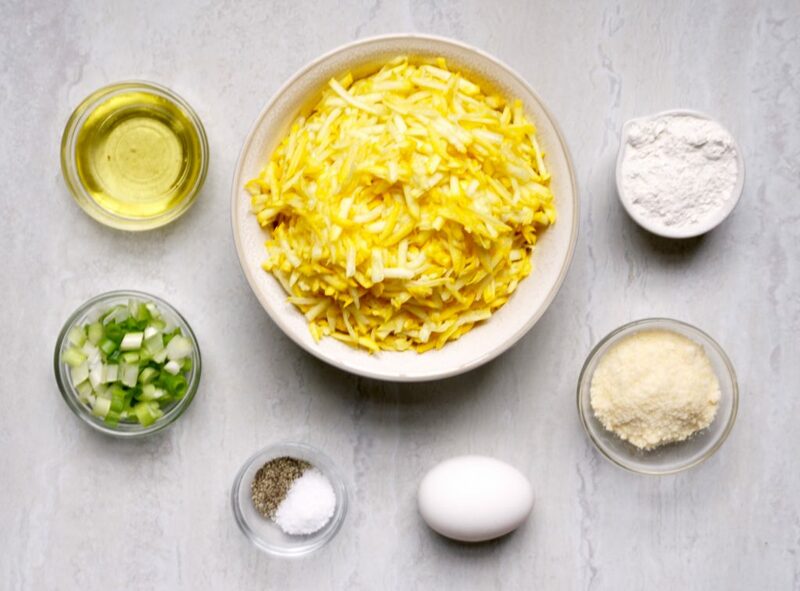 In a large bowl combine the grated squash, scallions, flour, parmesan cheese, egg, salt and pepper. Mix well until thoroughly combined. In a large skillet heat 2 tablespoons of the olive oil over medium low heat. Measure a level ¼ cup of the squash mixture and add to the skillet. You should be able to fit 4-5 fritters at a time in a 10 inch skillet. Fry for 2 minutes over medium high low until browned. Flip the fritters and cook the other side for 2 additional minutes until browned. Remove to a plate. Check the skillet to see if you need additional oil for the second batch. Add another tablespoon or two as needed. Repeat the frying process with the second batch of fritters. Here is a little help as to how to determine how much squash to buy in order to get 4 cups of grated squash. One pound of squash will yield 2 cups of grated squash. The large squash pictured below is a pound and the smaller ones are 6 ounces each. Avocado Crema is a healthier option to serve with the fritters than sour cream and takes only a minute to make.